covering 150 hectares for over one million slum dwellers. © FIG, 2007–2008. 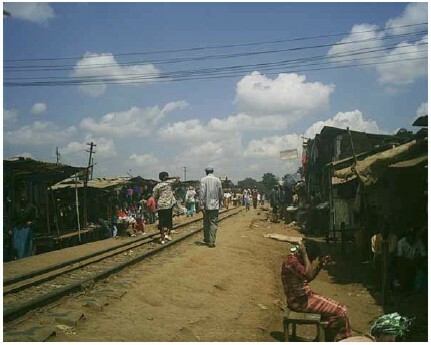 During the term 2002–2006, FIG’s cross commission Working Group 8.3 considered the particular issue of the urbanisation process in relation to informal settlements, with much of the initial evidence drawn from peri urban areas of Sub Saharan Africa. 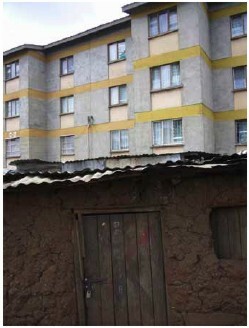 The group sought to reach a better understanding of the important role that surveyors might play in the provision of sustainable housing and development patterns in informal settlements. The aim of this publication is to explore how surveyors, in this area of informal settlements, can be better prepared to work with international agencies, national and local government, supported by the use of appropriate technology and information. This publication sets out the working group’s findings and suggestions for the road ahead. The full report from Working Group 8.3 is available at www.fig.net/commission8. The working group aimed to take a pragmatic, practical approach, devised through cooperation with UN-Habitat. The statement builds upon existing FIG publications, including the Bathurst (#21), Marrakech (#33) and Aguascalientes (#34) declarations, together with Land Information Management for Sustainable Development of Cities (#31), and the Nairobi Statement on Spatial Information for Sustainable Development (#30). This report seeks to provide a surveyor with up-to-date and relevant cutting edge thinking in the WG subject area. Acknowledged here are the delegates who over the past few years have contributed such informative and often enlightening papers, from which is drawn much of the substance of this report. Without these inputs, this publication could not have happened. Seeking to articulate and direct a way forward in the future contribution to informal settlements, the Working Group’s audience are both its external Strategic Partners, its own internal Professionals Members as well as Professionals within the wider built environment. The statement proposes an appropriate response from our members to the rapid changes in the socio-economic, political, demographic and environmental climate in sub-Saharan Africa, which lead to informal settlements. Like all settlements, informal settlements are driven by the dynamics of people, creating a rich interchange between economics, civic society, the environment, and above all, culture. But the rapid population growth and rural-urban migration is placing enormous pressure on housing and public services, resulting in high housing rents, overcrowding, and emergence of slums and informal settlements. So, regardless of method, it is clear that the supply of land is needed at a faster pace to contain the squatter settlements. Land requires proper management and development at national, state and local level. 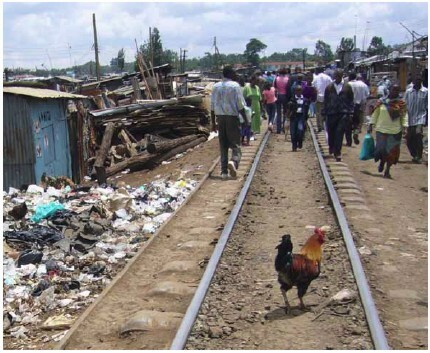 Surveyors have a unique set of skills, and are well placed to find and facilitate solutions to the urbanisation process typified within informal settlements. Taking a holistic, strategic approach, we can bring all issues together and focus on informing policy and practice. 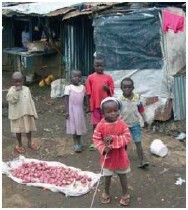 As emphasised by the United Nations Millennium Declaration and the Millennium Development Goals (MDGs), particularly Goal 7, the working group recognises that it is the fundamental right of all to have adequate housing; while noting that land is a strategic prerequisite for the provision of shelter and for the development of sustainable human settlement, affecting both urban and rural areas. Working with communities to identify the road ahead can contribute to a socially cohesive approach within informal settlements. Surveyors should move on from passive acceptance of the situation to active engagement to drive toward meaningful solutions. Our underlying philosophy is that the Surveyors contribution is to assist local, national and international communities to develop their journey along the road that delivers sustainable housing environments, in ways that suit local circumstances. But we have to recognise that we must be realistic, recognising what differences we can truly make. Thus we need to concentrate on using our professional skills to truly make a difference. Seeks to deliver plots for people to build their homes. 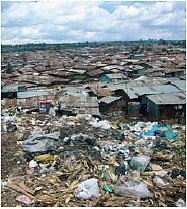 Improve the living environments of people in informal settlements; this requires sustainable places. Create the conditions for lasting economic and social success; this requires Partnership working. Use the most effective methods to achieve economic and social prosperity; this requires facilitating and engaging our professional skills and capacity. Build an energetic, open profession committed to working with others. 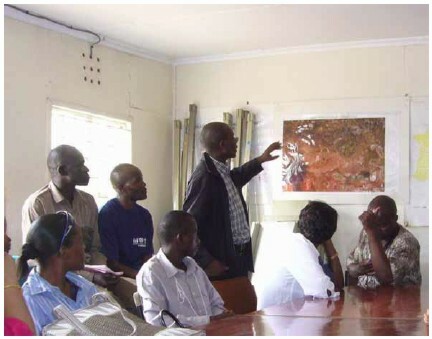 The outcome of the working group deliberations is a ‘family’ of initiatives to be progressed during 2007–2010, that crucially are capable of contributing to international programmes such as the Global Land Tool Network of UN Habitat. In order to address the working group’s goals listed above, we have rehearsed three areas of debate: Places, Partnership and Capacity. This is an action-orientated route along the road ahead, to identify and deliver land to build houses and to enable the creation of appropriate infrastructure. Capable of influencing now and in the future key stakeholders. The WG strongly recommends progressing work activities within Informal Settlement issues into the next FIG term that relates both to spatial planning and development (com 8), and also aids commission’s 3, 7 and 10 activities. There are two fundamental bottlenecks in the road to providing sustainable urbanization: the speed and dynamism of migration, and the lack of effective local governance. Undeniably, it is difficult for governments to control and manage the rapidly changing interrelationships between cites and the spatial and natural environment in developing countries. A principal barrier to sustainable urbanisation is rooted in the general lack of planning, implementation and management capacities on the part of local governments and their partners. It is a challenge that calls for a variety of responses, but particularly capacity-development initiatives of many kinds, directed at the full range of local actors (1). Section 2: Sets out the background to the group’s work, concentrating upon land management, i.e. the bridge between the growth of urbanisation led by demands from people, and the supply of land. Sections 3: Considers with reference to debate and analysis in the full report, the place in which people live and how to contribute to building sustainable places the opportunities for partnership working. Section 4: Looks at the opportunities for building the relevant partnerships. Section 5: Is a focus on the Surveying Profession, acknowledging the urban regeneration skills and with whom we should continue to interact. Section 6: Concludes with our next steps for the period 2006–2010. The background of Surveyors´ work is inextricably linked to the geography of people. It links economic decision-making to physical planning strategies, in order to support urban management processes with the goal of achieving sustainable urban development. This section sets out the background to the group’s thinking, concentrating upon the global land management model as the bridge between the growth of urbanisation. Driving the aim of the WG is the establishment by UN Habitat of the World Urban Forum (one of the principle advisory bodies to help the international community). The road map is set by the Habitat Agenda, now substantiated by the MDGs, obliging us all to assist along the road ahead. The agenda is wide and far reaching, but the overall meaning is clear: to improve the living conditions of millions of informal settlers by 2020. Dense settlements, comprising communities housed in shelters under informal land tenure. 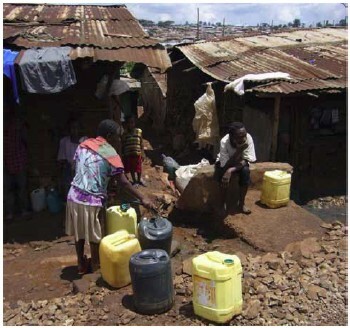 The quality of dwellings in such areas varies from shacks to permanent structures, while access to water and electricity, sanitation and other basic infrastructures tend to be limited. All these issues result in environmental and/or health hazards, reduced living standards, increased costs, loss of productivity and slow socio-economic development. But it is noteworthy that there are also positive aspects, for example, the provision of cheap housing, and labour for the formal sector. 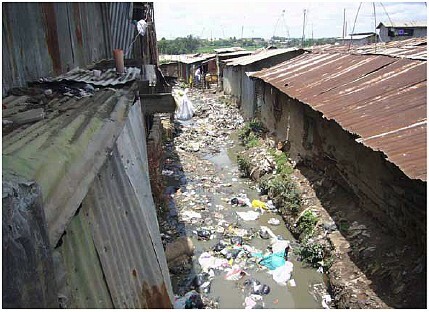 It is essential that the concerns of current slum dwellers be addressed. At the same time, providing affordable and appropriate new land for house development must halt the growth of new slums. People: Lies within the social dynamics of people, and the space that they require. Partnerships: Is to facilitate decision-making that merges the economics of land development with spatial land use needs. Capacity: This is done within the context of land management, and by concentrating upon regenerating existing urban lands and the development of new settlements. Firstly, land management, as in the Global Land Management model, is widely encompassing and brings together urban and rural environments to look at whole systems of human settlements, from village to town, to city, to metropolis (ref 2). Specifically, our focus is on the urbanisation process of cites, and ways to combat the dearth of legal housing land within these settlements. Secondly, delivering land plots and upgrading infrastructure requires an interdisciplinary approach, supported by effective ways for community participation in the planning and decision-making. The above, Sustainable Places, Partnership working, and Professional’s skill capacity are discussed in the next three sections. The economics of housing recognises that it is easy for governments worldwide to mix two different drivers: the need for accommodation (to combat homelessness and overcrowding) with the demand to own a home close to friends, family and work (fuelling un-affordability). So our objectives must be clarified in order to distinguish between policy that affects social need and market demand. In line with the UN Millennium Development Goals, people require spaces to live in decent living environments. 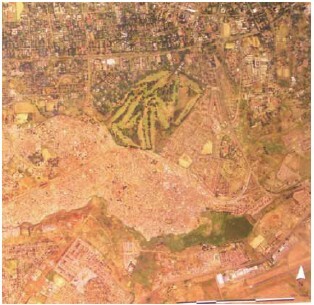 Informal settlements develop in small or large clusters in a haphazard jigsaw around a city. Consequently, the expense of extending social infrastructure (water, sewage, roads and public transport) is very high, and this situation becomes worse if settlements are built on swampy land, hillsides or other unsuitable environments. Poor people in informal settlements survive through their own initiative, yet most of these initiatives are deemed illegal. Informal settlements have over time evolved informal systems of land tenure relations and management, despite the regulatory state. The salient issues arising from Surveyors work relate to the physical spatial environment. This is important because it relates to PLACES in which people live. If governments do not provide sufficient land, the market demand will continue to be met by informal settlements. Physical planning for house plots and municipal services/ infrastructure, must be provided as the key regeneration initiative. The provision of a house structure cannot be seen as an end product. Housing is, after all, part of a complex series of action steps and policies that cuts across government departments. So if governance practices are to be influenced, a holistic approach would be needed to bring about an integrated economic, environmental and social development solution. This will mean focussing precious resources in areas that will count, and using information in such a manner that it supports pro-active decision-making. Cities are living dynamic entities, functioning much like a body in which the streets are arteries and veins. They grow organically, and this constant flow of innovation keeps them alive and expanding, thus they are natural eco-systems of human beings (ref. 3). Surveyors have to work within this dynamic. Planners rely extensively on data, but by definition, the informal economy is less likely to produce such information. A methodical approach to planning also takes time; but a characteristic of informal settlements is the speed at which they develop. Together, these demonstrate that this chaotic and dynamic world cannot be encompassed within the bounds of the current comprehensive master-planning systems. Information technology has led to acceleration in the speed at which we do things, for this, and other reasons, land allocation methods need to change, especially in the ways that we use the appropriate technology. The question is how to achieve this change within a highly complex and interdependent social environment. The focus should be to consider the regeneration and existing and supply of new land areas, and ultimately the regeneration of sustainable communities, in particular for housing plots. The effort should be concentrated upon providing the necessary services to existing plots, as well as planning the upgrading of new plots. Simplistically, successful development is related to the mobilisation of all parties and individuals. It is not a mere question of infrastructure and economic drivers. To account for the complexities, a flexible approach is necessary, informed by knowledge of the socio-economic environment and social entrepreneurship. Surveyors could provide this cooperative knowledge, providing a crucial link across the whole built environment professional team. Many building codes originated in colonial periods, and were often imposed inappropriately on the African environment. In many cases, these regulations are unchanged. It needs to be acknowledged that people will continue to build their own homes on an incremental basis, rather than employ contractors from within the private sector. This is understandable. But input from governance is necessary to ensure the appropriate use of materials and standards in order to conform to health and safety regulations, as well as socio economic, ecological and investment ties. The path ahead is to address the effect of these out-of-date codes on building materials and working practices and devise applicable codes for the Regional environments. It is now opportune to devise new codes, which acknowledge alternative techniques and affordable building materials. Each individual country could then mould and adjust the standards to take into account its local needs. Surveyors could translate and communicate best practice in application and technological quality control, as well as provide technological involvement in the devising of the standards. Importantly, surveyors could ensure that all people easily understand the codes. It appears that national approaches have shifted away from resettlement initiatives, towards upgrading and regenerating existing settlements. But upgrading can only be effectively addressed when integrated with environment, health and urban planning. Upgrading needs tools and instruments that will actively involve the community and respect their views. There are social and environmental concerns to take into account. Living in informal settlements has serious disadvantages such as the lack of public services like water, sanitation, policing and emergency services. But plans must also ensure that the natural environment is appropriately protected. Importantly, upgrading tools need to be devoid of the bureaucratic delays and lengthy approval processes that lead to excessive costs. In-situ upgrading is an effective approach, in which we could truly add value. This method is in line with ongoing initiatives such as UN Habitat’s “Cities without Slums” that seek to implement urban planning and management polices designed to prevent the emergence of slums, as well as the upgrading of existing slums. Thus, surveyors have the capability to identify specific factors in each situation that appear to be holding back the process, but could be readily addressed. Contemporary knowledge on regeneration suggests that a project management approach is highly relevant because of its focused output. This requires collaborative working across a number of areas, including process management and regeneration. This mirrors the surveyor’s professional skills. An infrastructure which includes pipe-lines, telecommunications and public services is of utmost importance for a healthy, safe living environment. 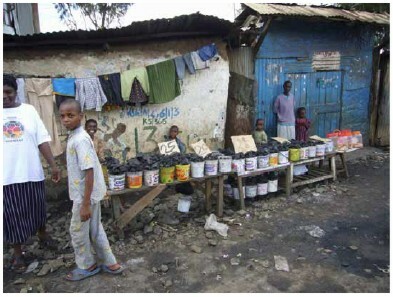 Rapid economic growth and urbanization dramatically increases the demands on Africa’s already inadequate infrastructure. What is now required is action to close the infrastructure gap between the non-existent or dilapidated conditions, and the needs of a growing economy and community. However, it is becoming increasingly clear that the public sector alone cannot bear the burden of supplying, managing and maintaining this infrastructure. Private capital, technology and management skills are needed. Global thinking has introduced the idea of ‘Public Private Partnerships in areas where government could encourage private sector investment in energy/ power, pipeline transmission, media and telecommunications, as well as fresh and waste water. The focus of surveyors may relate to the provision of infrastructure services, which will improve people’s welfare, as well as reduce the degradation of the natural environment. Surveyors are well-equipped to broker and advocate the areas where urgent engagement is required, namely availability, affordability, accessibility and administration. We also need to consider how appropriate technology and the use of information can be used as a vehicle to support initiatives. 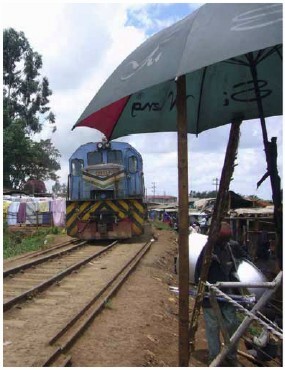 The pace of urbanisation is so rapid that new, culturally sensitive ways need to be found to deliver land for housing. This involves governments and communities working together. There is evidence that the pressures of informal settlements are largely (but not exclusively) occurring on traditional lands. There is a need to instigate a pro-active dialogue to agree if and how administration systems can operate in the future to release more land for housing. This dialogue may be with chief owners or perhaps, as in peri-urban areas, by the head of families. Rapid urbanisation has placed the urban poor in situations where their struggle for survival is constantly in conflict with formal laws. 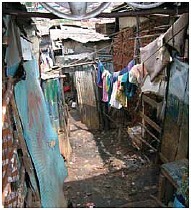 But contrary to common belief, access to squatter settlements is rarely free. An entry fee must be paid to an intermediary, or to the person or group who extends control over the settlements, so living in constant threat of eviction. It is particularly severe for minority-headed households, such as women or children. Without plots there are no places for people to build their homes, so the emphasis of any review of how the land is administered must be done with the involvement of people and their leaders. Thus the strategic partnerships that have to be navigated along the way are sophisticated, complex and politically difficult. Can ‘customary law’ as a system that is appropriate for agricultural and socially-stable societies, cope with, urbanisation drivers, globalisation forces and burgeoning populations which require access to secure rights of occupation? Is it possible to spread more equally rights and responsibilities to all society? What might be needed is a new approach that recognises dual systems in parallel to civic government structures. A key attribute of surveyors is their ability to understand, create and analyse spatial data, but also importantly to communicate land management, economics and planning into the social science. Surveyors are skilled as facilitators, working with both professionals and non-professionals. To facilitate the evolution of customary approaches, the role of the surveyor lies in advocacy and support. Importantly, that role is not to ‘take over’. So there is a need to consider learning partnership programmes and integrate these into regeneration strategies (ref 4). Contemporary knowledge on urban development and managements suggests that stakeholder participation in project conceptualisation, design, implementation and management, could hold the key to sustainable urban development. The process of engagement is dynamic, and it demands participation (and ultimately responsibility) by stakeholders at all levels. Consequently, if we want to successfully engage all stakeholders, particularly politicians, we need to widen significantly the scope of our professional understanding of the dynamics within communities. Above all, the dialogue and participation have to be professionally-organised and managed in line with resident and stakeholder expectations, including the media. The aim is to prove that the democratic and administrative renewal process is not hindered, and to avoid tokenism and non-participation at all costs. The surveyor’s ‘people skills’ are crucial here. We have the ability to work with community members, then encourage the interest and involvement of business enterprises from the earliest stages. Training of local communities and their leadership on land management activities. Assessing householders’ potentials to contribute to upgrading costs and the options available to them (affordability). Establishing the roles and responsibilities of stakeholders. Integrating local grass roots institutions in infrastructure, management and training. Bringing together the wide and disparate inter-professional disciplines that impact and contribute to the development of informal settlements. The global revolution in information technology is incredibly dynamic and fast-moving, and the ability to utilise this is key in project management and coordination. The use of GIS topographic mapping is a powerful vehicle in the development of land policies that effectively incorporate appropriate spatial data infrastructures. Yet many areas of the world lack the fundamental map-based infrastructure that the developed world takes for granted. The myriad of methods to access communication is only just beginning to be translated appropriately into the planning and development sector. A key enabling tool to the success of our working will be the use of Geographic Information Systems (GIS) on urban areas. GIS mapping is a powerful vehicle in the development of land policies that effectively incorporate appropriate spatial data infrastructures. Yet many areas of the world lack the fundamental map-based infrastructure that the developed world takes for granted. Mapping-based services are seen to be a crucial part of the delivery of the sustainability agenda. The surveyor’s project management skills are critical to enable disparate data sets and skills to be brought together in an interdisciplinary and inter-professional manner. This involves partnering a range of stakeholders including the international aid community, professional organisations, the academic community, universities and key decision makers. A key area is for surveyors to facilitate partnerships between the people who implement land planning and those with technology expertise. To be pivotal in making a difference, surveyors need to build on their skills, both internally within the profession, and externally within the wider built environment professional community. This section sets how we can achieve excellence through utilizing our existing skills. It is important to emphasise that the central thrust for the delivery of sustainable places and urban regeneration will rely upon the interaction of people and partnerships, and the use of appropriate tools. Surveyors should apply their tools and professional knowledge to the problem of planning urban areas that have started as a disorganised, incoherent pattern of development (informal settlements). The skill sets are encompassed in a wide economic-based, but holistic approach, termed here as regeneration. Regeneration is an activity that creates a lasting improvement in the social, economic, environmental or physical conditions prevalent within a defined area. As a profession we are extremely adaptable. Our skills and knowledge processes take place in the context of different cultures and climates, within different geographic, economic and political systems. Our profession includes distinct but kindred disciplines of Measurement science, surveying and mapping, spatial information management, land management, quantity surveying and cost-control. Theoretically, FIG has a number of opportunities to improve the delivery of a range of themes; it has the particular advantage of being established as a member’s organisation with good member country ‘sign up’. Thus, with support, it could produce significant actions. Importantly surveyors need to understand ‘how’ they can help. But it is recognised that it is unrealistic to expect the surveying profession to do everything, hence the need is for an approach based on continuing our strategic alliances. Politicians, who need to consider the legal and regulatory (business) environment for the building materials production sector. Investors/financiers, who need to be encouraged to invest in business opportunities. Small, Medium and Small Enterprises , who need to be convinced of the market viability. Donors, who should see the opportunity of supporting FIG/ professions to take the next step. The aim should be to develop a greater understanding of the demands and requirements of a broad spectrum of professional working, and seek to identify ways to bind the different professions and occupational backgrounds together. Understand the meaning and intentions of partnerships. Identify the challenges and appropriate tools for partnerships. Integrate with partnership processes demanding cultural change. The management culture and internal organisation of local government should be better focussed towards integrated partnership working and the shared outcomes of sustainable places. FIG needs to continue its work with the range of UN initiatives already underway. The UN Habitat branches in Urban Governance and Security of Tenure are our particular focus. Overall is the need to link with the Global Land Tool Network (GLTN). The aim of this network is to “establish a continuum of land rights, rather than just focus on individual land titling, improve and develop pro-poor land management as well as land tenure tools, unblock existing initiatives, assist in strengthening existing land networks, improve global coordination on land, assist in the development of gendered tools which are affordable and useful to the grass roots; and improve the general dissemination of knowledge about how to implement security of tenure” (ref 6). Much of this parallels the surveyors´ own aspirations. In particular, the core values of GLTN are representative in the cross-cutting themes highlighted in this statement, including good governance, pro-poor activities, affordability, equitable and gendersensitive approaches and solutions. All built environment professionals have invaluable expertise and a key role to play. It is essential that surveyors work with multi-disciplinary teams and with local partners to achieve regeneration of Places for People. Facilitate decision-making that combines the economics of land development with the use of land, in a spatial and social context, and as highlighted in this WG statement. Spatial Planning and upgrading methods and regeneration tools for access to, and equitable distribution of resources for the provision of house plots on customary land. Coastal Settlements and Climate Change, and Coastal flood disaster preparedness and working with coastal communities. Commission 3 to support the work on the use of SIM- tools for decision makers and citizens and the development of the use of appropriate data sets and technology. Commission 10 to Support the potential work on technical and cost issues to explore affordable building materials, and appropriate regional standards and codes, specifically for housing in developing and emerging economies. Emmanuel O Akrofi (Ghana) Rashid M Azzan & Said S Ufuzo (Zanzibar, Tanzania), Paul Chege (Kenya), Diane A Dumashie (UK), Ibrahim U Jibril (Nigeria), Robin McLaren (UK), Wakuru Magigi (Tanzania), R Mahoney (UK), Theodora M Mends & Johan de Meijere (Netherlands), Wafula Nabutola (Kenya), Lason M Olayiwola & Olufemi Adeleye (Nigeria), Oyyat, Putsoa Alukoe, P Taylor (UN Nairobi).